Missouri S&T will welcome ASCE 2020 President, Dr. K.N. Gunalan, to campus for a guest lecture on Feb. 13. Dr. K.N. Gunalan will speak at 7 p.m. Wednesday, Feb. 13, in Room 125 of Butler-Carlton Civil Engineering Hall, located near 15th and Pine streets in Rolla. The event is free and open to the public. In his lecture, titled “Engineering the Future,” Gunalan will discuss the challenges humanity faces in investing and maintaining infrastructure to maintain quality of life in the U.S. and globally as world population is projected to surpass nine billion by 2050. To face the challenge of shrinking resources, he says engineers must broaden their knowledge beyond science and technology to understand the integration of societies. Gunalan challenges civil engineers to create safe, sustainable and efficient infrastructure to preserve the planet’s limited resources for future generations. 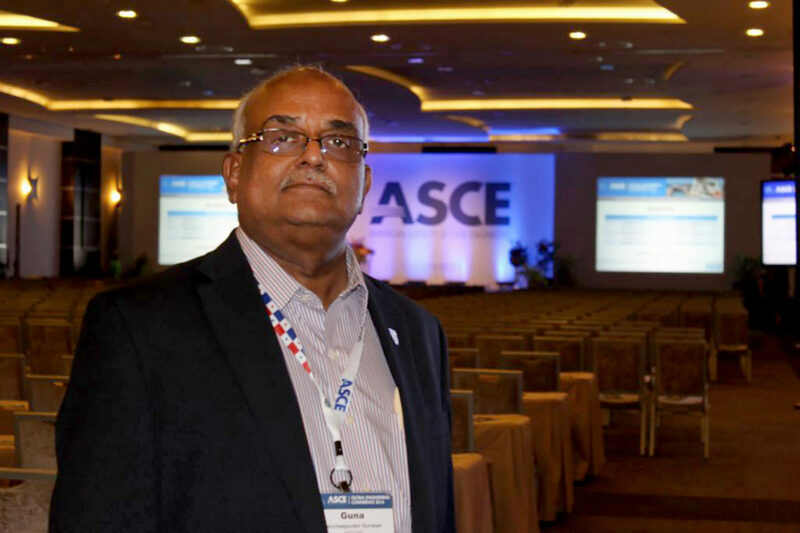 Gunalan is vice president of alternative delivery at global infrastructure firm AECOM, based in Salt Lake City, Utah. Previously, he was a vice president for Parsons Brinckerhoff. He has managed large, complex infrastructure projects, providing technical advice on civil, structural, geotechnical, pavement and materials issues on a variety of projects around the world. Gunalan earned his Ph.D. in civil engineering from Texas Tech University in 1986, and he is a licensed professional engineer in New Mexico and Utah. The Missouri Society of Professional Engineers, ASCE and the Missouri S&T College of Engineering and Computing are sponsoring the event. The Missouri S&T student chapter of ASCE is hosting the guest lecture. For more information, contact Dr. Joel Burken, Curators’ Distinguished Professor and chair of civil, architectural and environmental engineering, at burken@mst.edu.